The four-letter name of the week is one that is being revived for both boys and girls. It has a modern feel to it and is certainly attractive on both genders, however I prefer it for a boy. 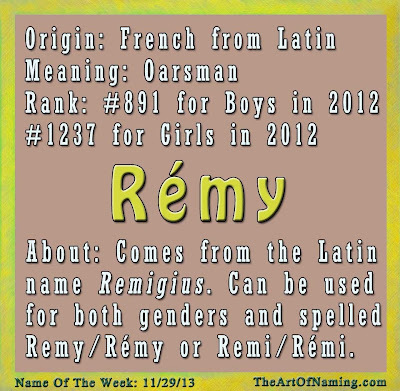 Rémy is a French name that comes from the Latin name Remigius which was derived from the Latin remigis meaning "oarsman". It was also the name of a fifth century saint. This name, when said in its French form, is pronounced ray-MEE. However you can get by with just REM-ee in the US, especially without the accent mark over the e. Another variant is Rémi or Remi. The Italians, Portuguese and Spanish prefer the name Remigio. The name appears on French alcoholic beverages: Rémy Cointreau is the company and they have a brandy called Rémy Martin. In pop culture, there is a band called Remy Zero; and the main character in the film Ratatouille is named Remy. There are also a few geographical locations with this name. As for famous namesakes who have Remy as a first name or a surname, the list is far too long for this blog. Take a look here if you want to view it. So according to this data, it is fair to say that the Remy spelling is more commonly used for boys, while Remi is a bit more feminine. However, it is clearly very unisex overall. 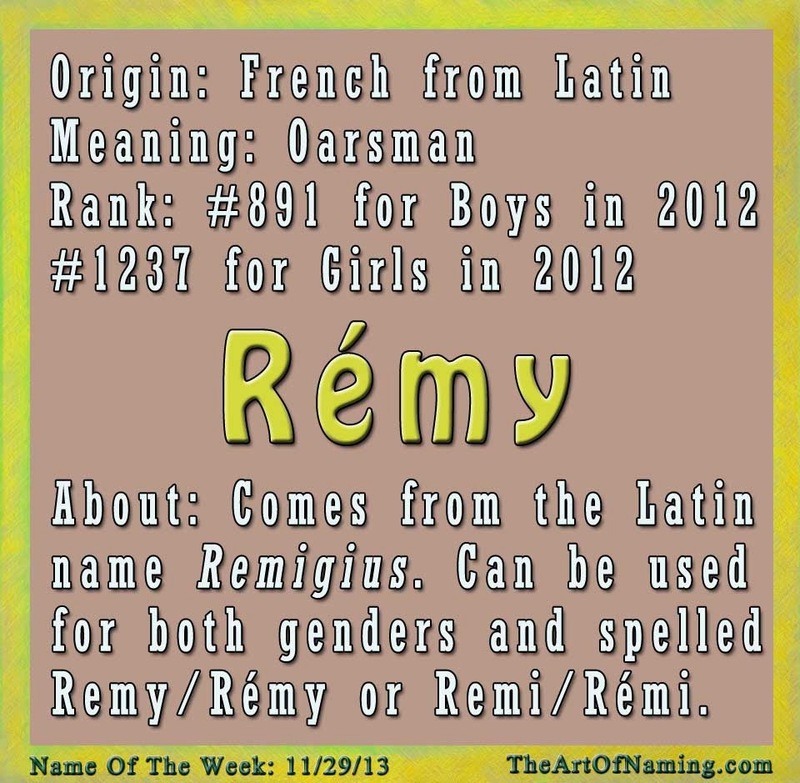 Boy Remy and Boy Remi were used in the US well before either girl spelling. Remy was first used on 6 boys in 1914 and Remi followed the next year with 8 births. 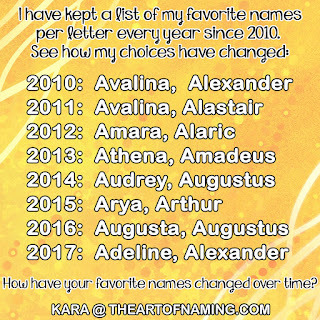 Females began receiving these names much later. Remi appeared on the record for girls in 1963 with 5 births and Remy followed the next year, also with 5 births. At least these names seem to travel together! It wasn't until the late 70s and early 80s that these 4 names were regularly used every year, and it is only in the past decade that they've gained a boost in usage. Despite this, none of the spellings have ever been in the Top 1000 except for Boy Remy who cracked the barrier in 2009. Girl Remi may be next! I favor Remy for a boy over all of these. While I love the French spelling and pronunciation, I can't help but like the Americanized REM-ee a little bit more. However, for Francophones, I definitely recommend Rémy paired with a French middle name. Which spelling do you prefer for which gender and which pronunciation do you like best?